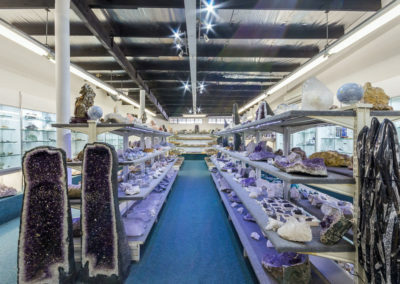 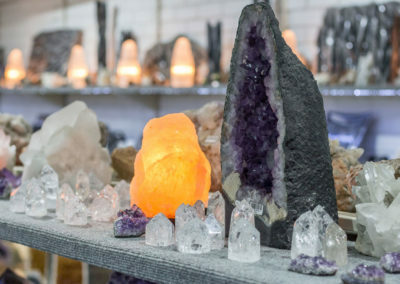 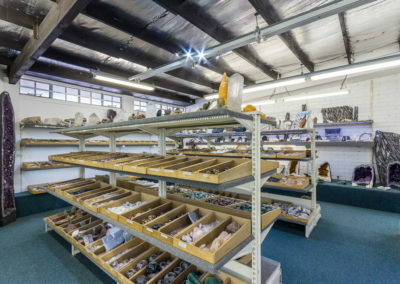 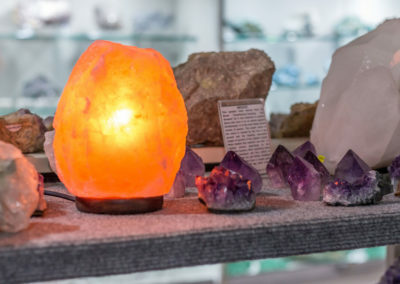 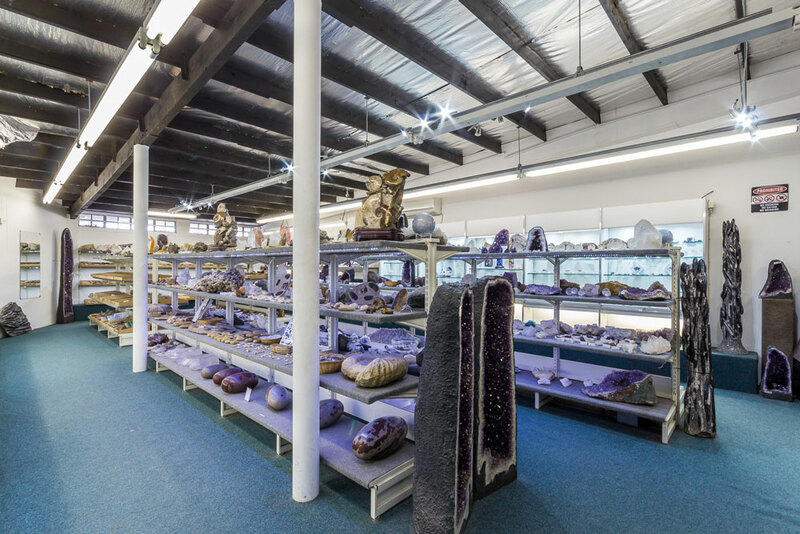 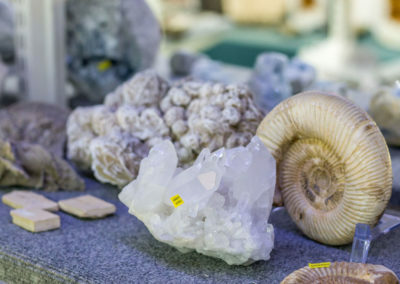 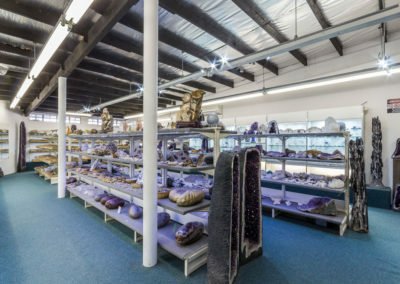 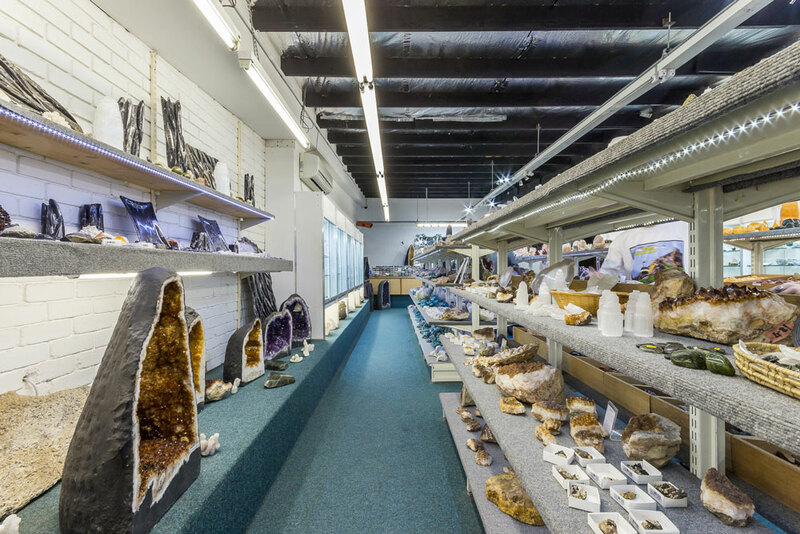 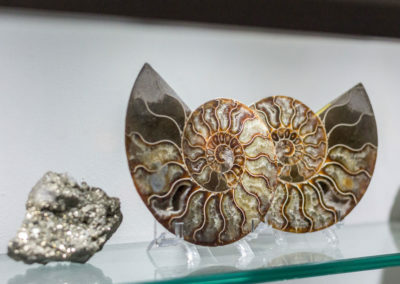 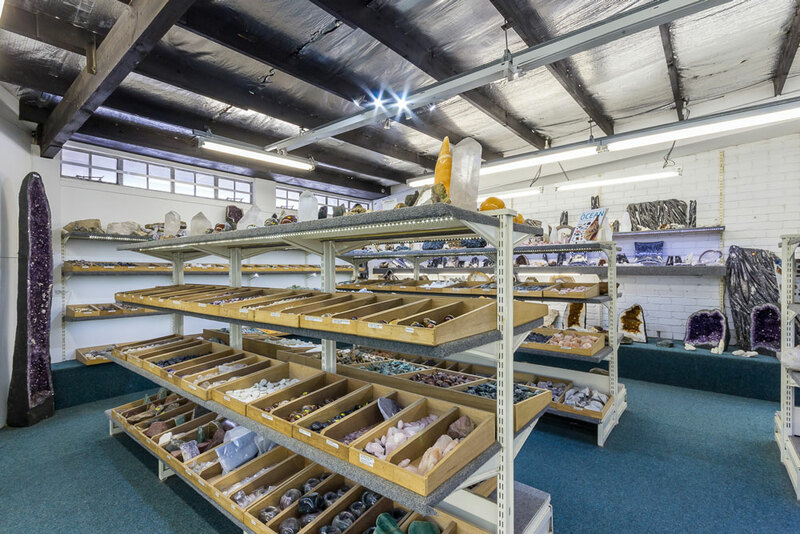 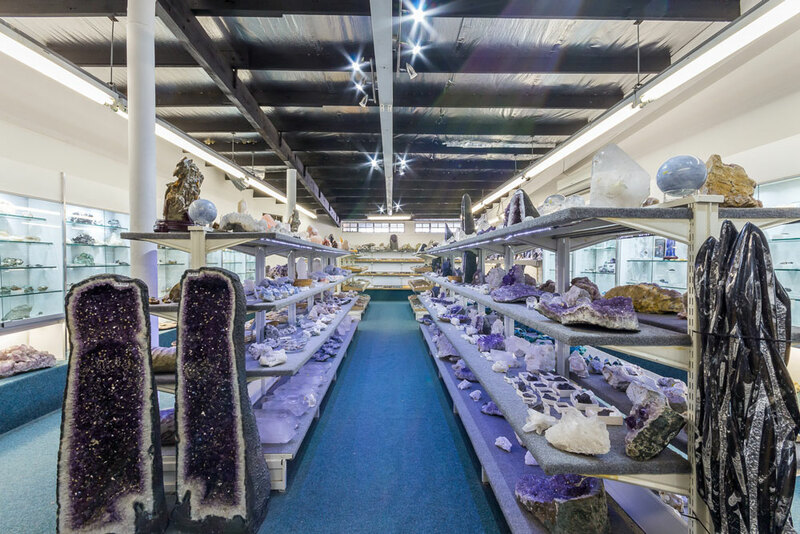 Our unique Rock Shop has both rare and unusual mineral specimens for the professional collector as well as inexpensive minerals for the hobbyist and children. 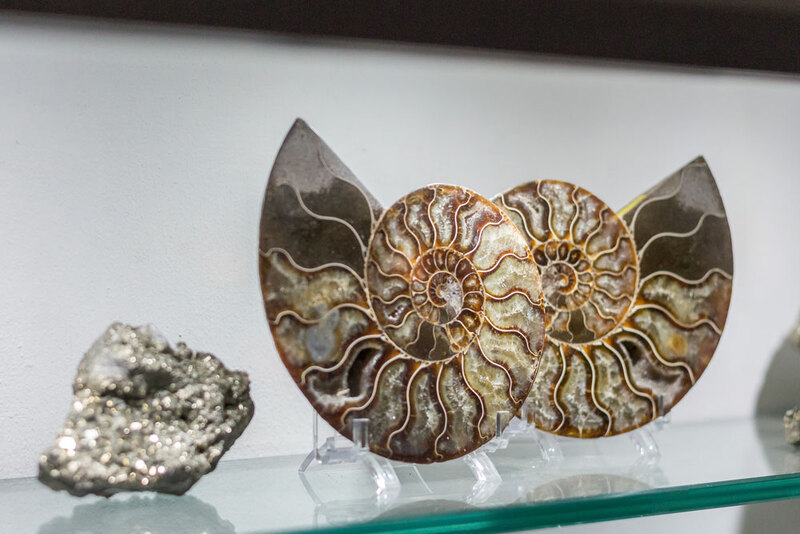 Each piece is one of a kind and makes for an interesting décor item in a home, office or garden. 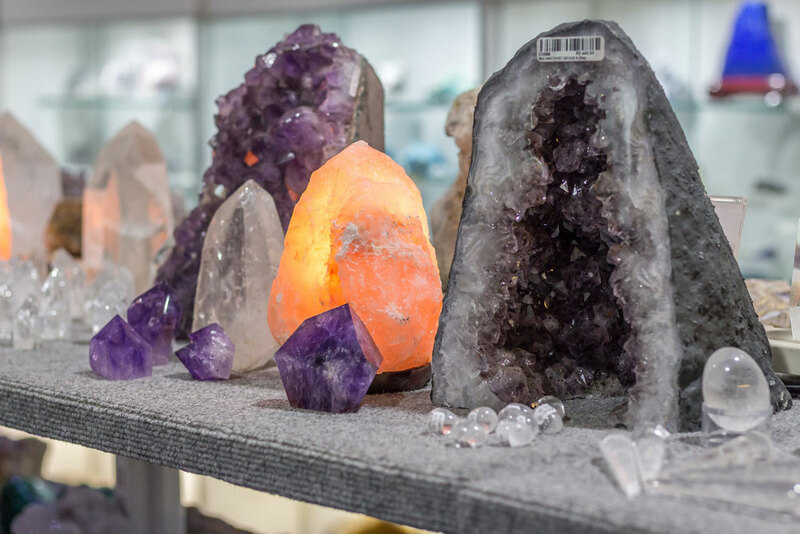 The Earth puts millions of years of energy into forming gemstones and each crystal carries this energy with them. We are all intuitively drawn to what we need. 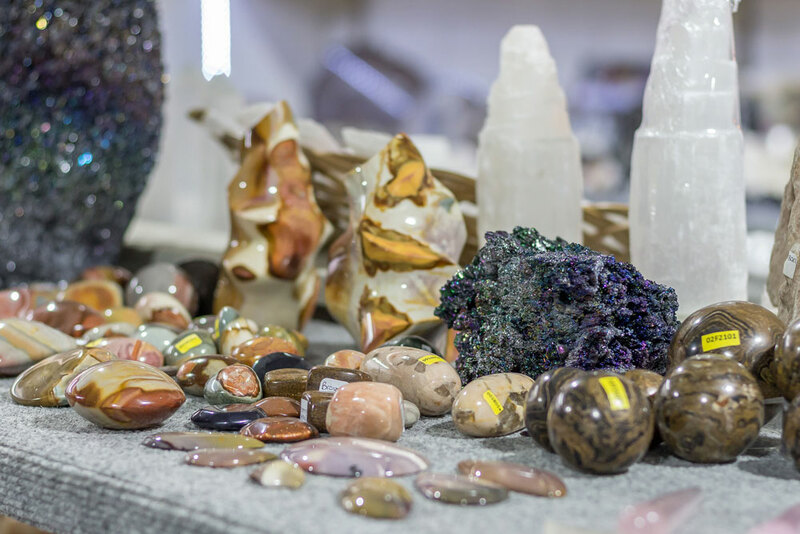 The beauty you see in a stone or crystal speaks to a deeper part of you and not just your initial attraction to its beauty. 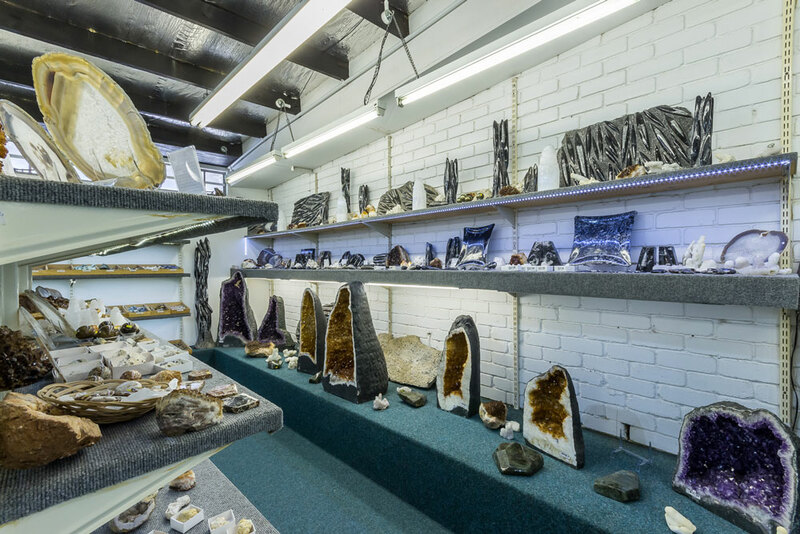 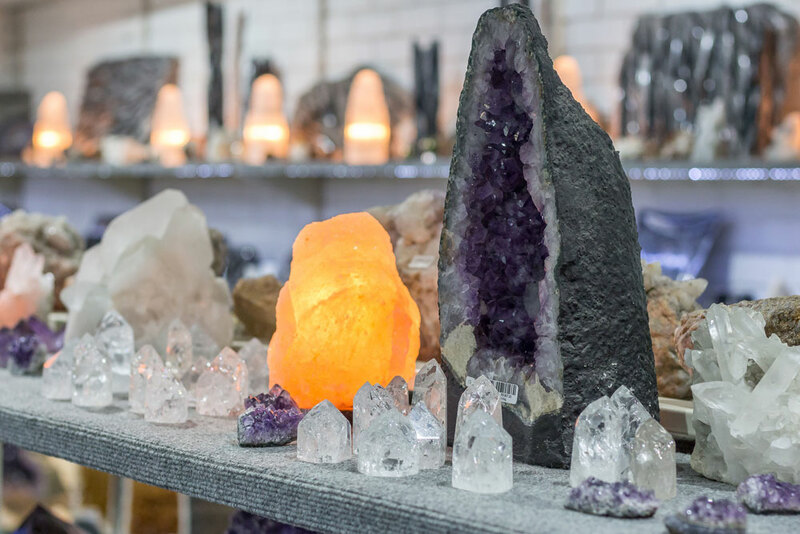 Let your inner self guide you as you walk into the Rock Shop, let your hands be light and trust their lead. 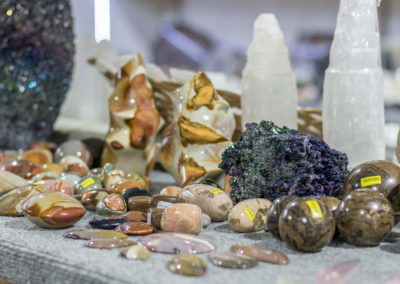 Find something uniquely special, to you. 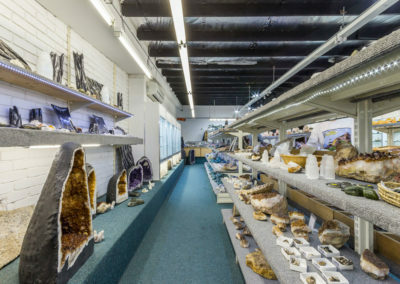 Fossils such as Megladon Shark’s Teeth (each one around 55 million years old), rough pieces of the popular and exquisite Tanzanite, rough Moldavite specimens, large Amethyst and Citrine geodes, natural gemstone points and sparkly crystal clusters and points are just a few of the things you will find in the Rock Shop. 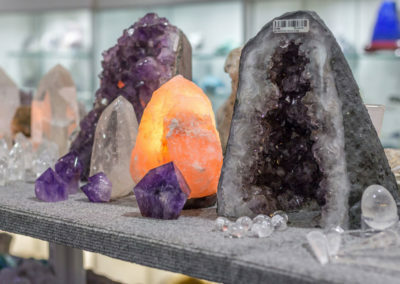 To be able to compare a stone in its natural ‘untouched’ state, to how they look as a cut and polished product is incredibly interesting, and sometimes surprising. 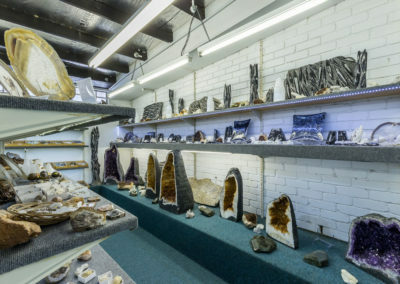 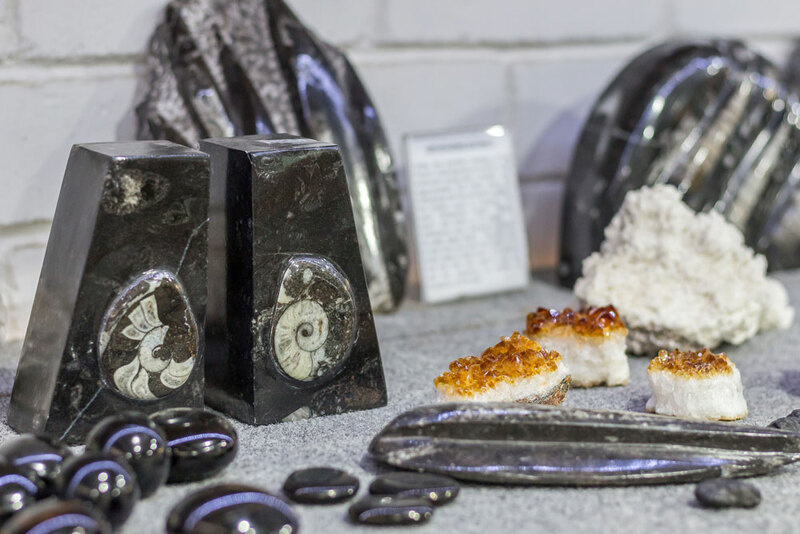 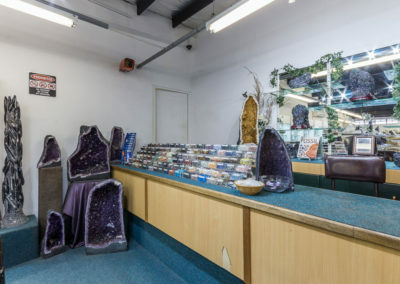 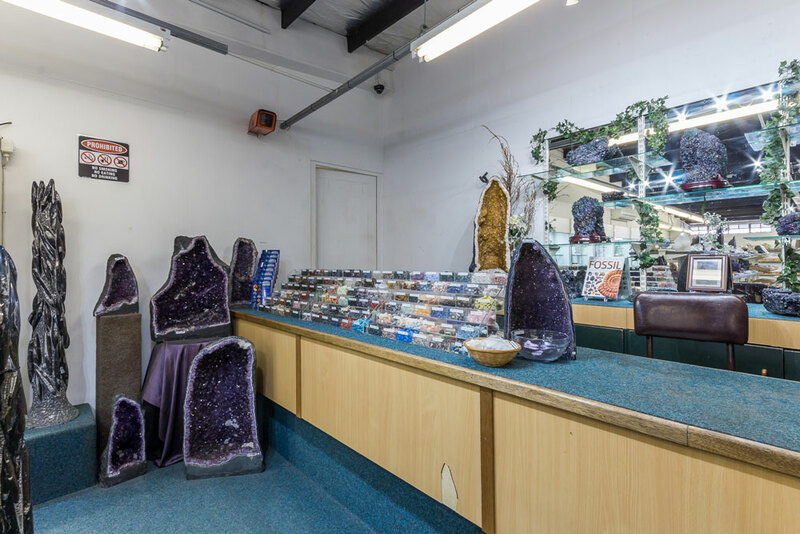 The Rock Shop is a place which displays some the world’s natural wonders.